This little luxury features Immersion technology that provides 3 times more spray power than most showerheads. It has an attractive design and it’s backed by Moen’s limited lifetime warranty. Its adjustable water flow also lets you switch between full spray and concentrated rinse modes. Though it’s expensive, you can save money by opting for a basic chrome finish. Some users reported that it’s difficult to tighten. This wall-mounted showerhead meets EPA WaterSense certification standards and filters chlorine from your water. With 5 spray patterns and easy assembly, this is a no-brainer, especially for those who want softer skin and hair. Consumers have also praised its ability to remove chlorine smells from their water after installation. This showerhead has lower pressure and the filter has to be changed every 10k gallons. For a luxurious feeling and great pressure, go with the Hansgrohe low-flow showerhead. Its QuickClean anti-calcification removes limescale deposits from the silicone nozzles. Additionally, AirPower tech enriches water with air for soft, pleasant water droplets on your skin. Because this is a low-flow showerhead, it may take more time to rinse your hair and body of shampoo and soap. One of the more affordable products on the market, the Speakman delivers consistent and powerful spray performance. This high-quality showerhead comes with great pressure and decent coverage. It also has multiple adjustable water streams. It’s built to last. It’s a bit heavy, so be careful when installing it. Additionally, the adjustable settings don’t change the stream pressure significantly. Love to sing in the shower? This is the best showerhead for you. 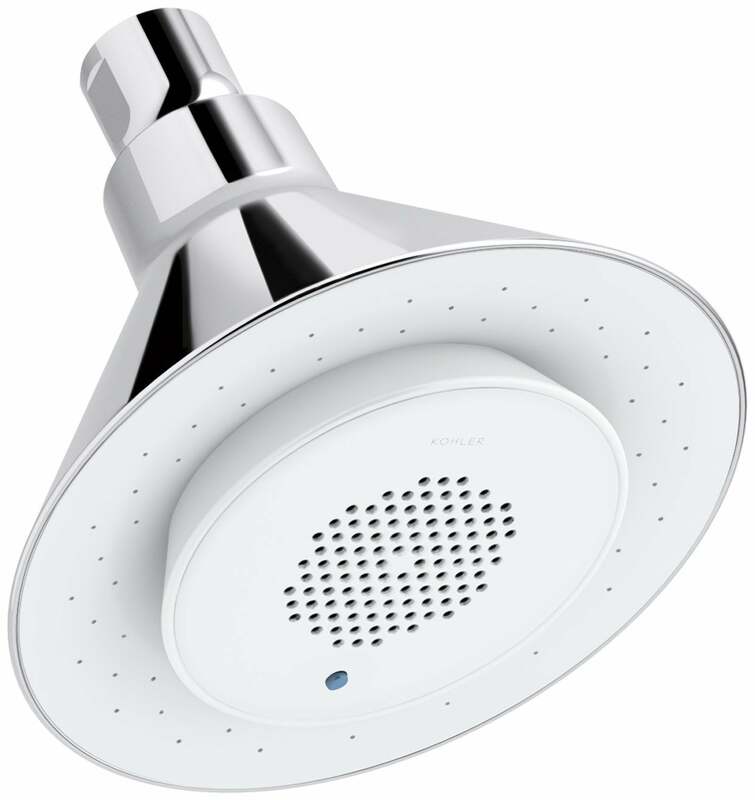 With a wireless speaker, the Moxie allows you to stream music straight through the showerhead. It syncs with Bluetooth-enabled devices and has a built-in, rechargeable lithium-ion battery that provides approximately 7 hours of runtime. The volume is controlled on your phone, not the product, so set the volume before entering the shower. You may not pay much attention to your showerhead, but if you experience low water pressure or notice that your skin is drier than usual, a new showerhead could be the solution. The House Method Reviews team reviewed a variety of products designed to remove impurities from your water and strengthen water pressure, so we could find the best showerheads for you and your home. We tapped into showerhead reviews to learn what consumers care about most when buying a showerhead. If you have low water pressure, have a damaged or leaking showerhead, or live in an area with hard water (hard water contains a high mineral content and can include calcium and magnesium deposits that make your skin dry and itchy), a new showerhead may be just what you need. Showerheads can strengthen water pressure, providing a stronger water flow during your shower, and can remove impurities from your water like chlorine, chloramine, and lead, leaving you with softer skin and hair. 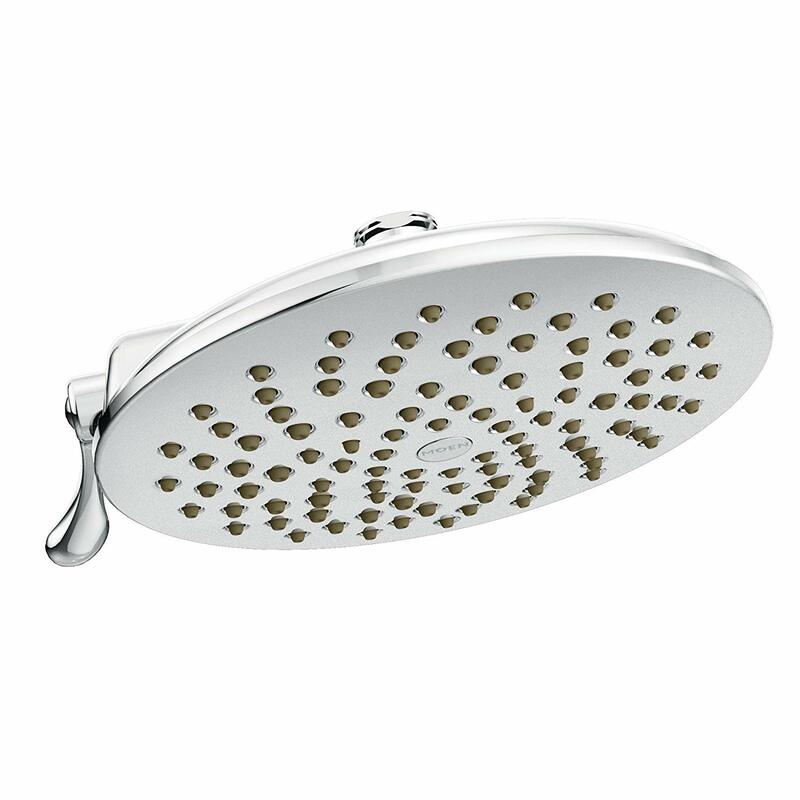 The market boasts hundreds of showerhead models and without the proper information, it can be difficult to find the perfect one for you. At House Method, we strive to provide the most honest and unbiased information regarding products we test to make your purchase decision completely painless. In this comprehensive guide, we dive deeper into the types of showerheads, important factors to consider before making a purchase, and frequently asked questions regarding these products. These are the most basic models—they offer only one spray speed and cost much less than multi-setting showerheads. Providing a variety of spray and pressure settings, these allow you to tailor your shower experience. Some popular spray settings include massage, jet, and pause. The massage setting offers higher pressure, making you feel more relaxed, the jet setting also offers higher pressure with a concentrated stream option, and the pause setting delivers medium pressure with an on-and-off water pattern. We recommend these showerheads for households with multiple people that prefer different water pressure settings or for those who like to switch up their water pressure in the shower. The Culligan Filtered Shower Head offers five different spray settings, including a massage mode. These luxurious showerheads are large (typically eight to nine inches wide) and provide a spa-like experience. With their large head and wide spray pattern, they reduce water pressure and provide a soft, soothing flow (similar to raindrops falling on your head). However, they’re not as powerful as other types. We love the Hansgrohe Raindance Downpour AIR Showerhead—it has a sleek and modern design and provides decent water pressure. Low-flow showerheads are eco-friendly options that are specifically designed to use less water, saving you money on monthly water bills. Even though these use less water, they still offer a strong and powerful flow. These combine a regular showerhead with a wireless speaker. Most of these products work via Bluetooth, so you can play music from your device and listen to it while in the shower. The best showerheads will provide a pleasing flow while meeting the federal flow-rate standard. The highest flow rate allowed for showerheads is 2.5 gallons per minute at a standard water pressure level of 80 psi (pounds per square inch). 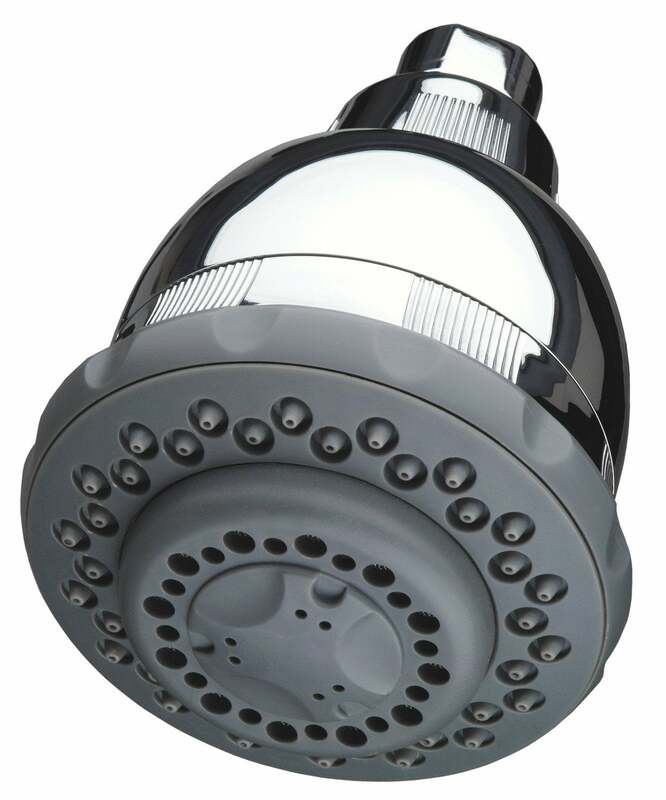 Showerheads should meet this standard, in addition to the voluntary WaterSense requirements. Note: a slower flow can result in longer showers and more water use. Some showerheads will affix directly to the wall while others will attach to a flexible hose. Fixed showerheads are the most standard style—these attach to a pipe or faucet hole in the shower wall. They usually have a swivel option, allowing you to turn the product so you can adjust the general direction of the flow. Handheld body sprayers are more versatile and can be removed from their holster and used to focus the spray on any part of your body. Shower nozzles can be made of metal, plastic, rubber, or silicone. Metal showerheads experience less bacteria buildup while products made of plastic, rubber, or silicone don’t accrue as much limescale as their metal counterparts. Limescale can pose a threat in hard water areas by causing blockages in your plumbing system. Showerheads come in a variety of finishes that can match your bathroom. Some popular finishes include chrome, brushed nickel, bronze, oil-rubbed bronze, white, and antique brass. Look for rust-resistant finishes to avoid rust from forming on your showerhead. Most showerheads are easy to install and can be put together with little to no DIY experience. You’ll typically need to unscrew the old showerhead with an adjustable wrench and remove any plumber’s tape from the threaded part of the shower arm. Apply fresh plumber’s tape over the threads for a solid seal and screw your new showerhead into place. Your purchase should include assembly instructions, but you can always hire a professional plumber if you need assistance. If you think you have to buy the most expensive showerhead available to get the best flow, think again. Showerheads can range from as little as $10 to several hundred dollars. The Culligan Filtered Showerhead is less than $35 and is one of our top picks. What is the highest pressure showerhead? 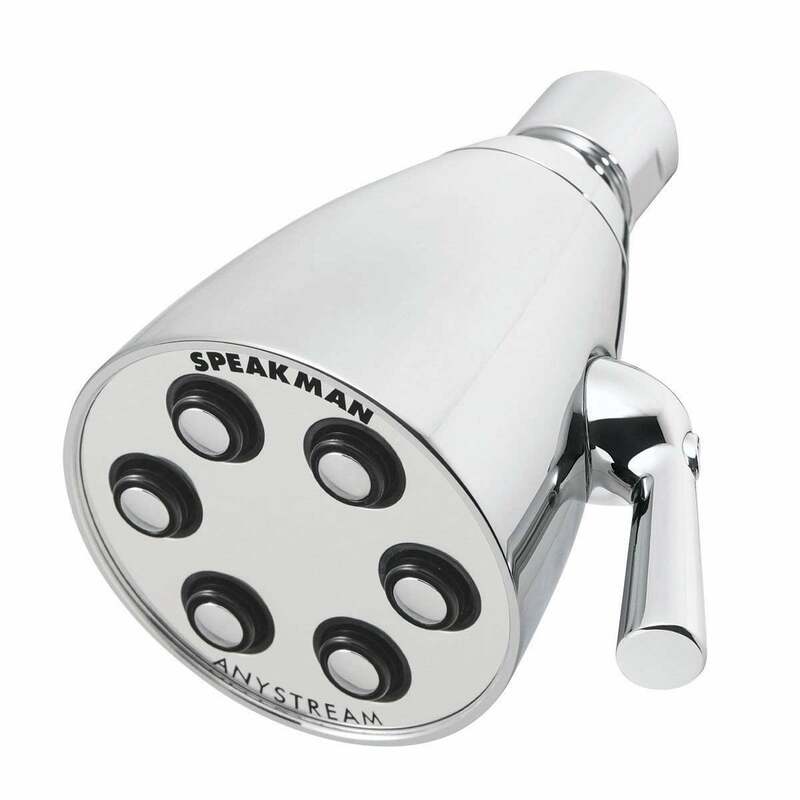 The market leader in high-pressure showerheads is going to be Speakman. Their Icon Anystream Showerhead is an excellent upgrade from their basic showerhead and comes with a variety of different water streams. What is a good flow rate for a shower? According to government standards, no showerhead can have a water flow rate greater than 2.5 gallons per minute at a standardized pressure of 80 psi (pounds per square inch). Note: low-flow showerheads use less water and can translate to lower energy costs for the consumer. What is a water restrictor? A water restrictor, commonly known as a flow restrictor, is designed to reduce water flow in a showerhead to 2.5 gallons per minute. The National Energy Act requires flow restrictors in all showerheads. What is the best rain showerhead? In our opinion, the best rain showerhead is the Hansgrohe Raindance Downpour AIR Showerhead. It provides a spa-like experience while delivering adequate water pressure. If ironing isn’t your style but neither is wrinkled clothing, a clothes steamer is a fuss-free option to get the job done. Here are 5 that serve up style in a simple fashion.